nature and improve my photography through the years. speed of up to 1/8000 seconds, it is the case with this picture. The background snow and ice it is the one of the river. 1/8000s f/4.5 ISO1600 85mm (35mm eq:127mm). Tu as beaucoup de succès avec ta nouvelle caméra. La netteté est excellente. La prise de vue permet de voir les détails du canard Colvert femelle en vol. Bonne journée. The details and colors are excellent with your new camera. making my mind about that how much close you were. A beautiful inflight shot with lot of detail. Congratulation for your 11 years here in Trek Nature, although I'm bit late. Details and colors looks nice. Common bird in your part of the world, but outstanding result with your new camera. Sharp details. Congratulations for your anniversary, fantastic photo to celebrate with. Excellent timing and shutter speed, the action's perfectly frozen into the image. Great shallow depth and perfect off-centered compo, too. The improvement you've shown here during your stay on TN is breathtaking - please, if you get the time and energy, post more often if possible. Hats off for you, stunning shot, and thanks very much for your valuable contribution in the past 12 years. Congratulations. Nice to see you back here. I hope to see you now and then here in the original Treknature site. 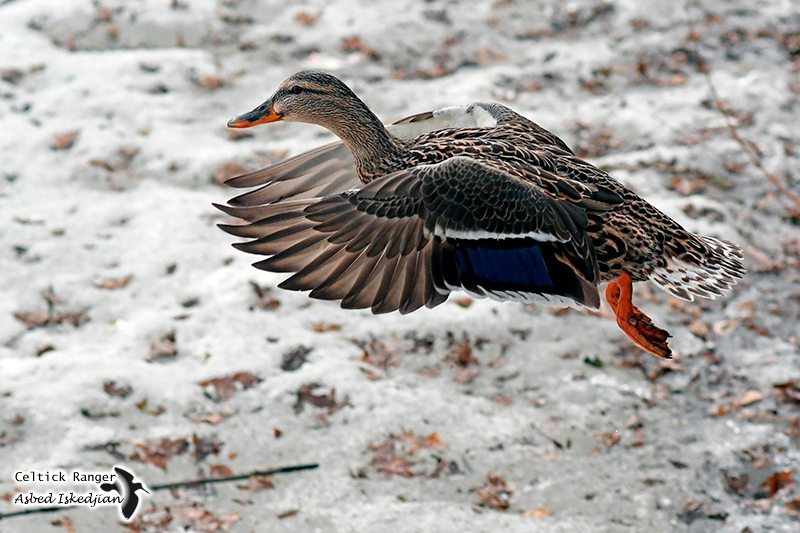 Excellent photo of this mallard in flight in fantastic sharpness and details. Perfect timing.